Tara Gomez is a Native American who grew up in Santa Maria, and with the help of a scholarship from her tribe, the Santa Ynez Band of Chumash Indians, attended California State University Fresno where she studied enology. She graduated as one of two women with a BS in Enology in 1998. Her winemaking career has included experiences at Fess Parker Winery and J. Lohr Vineyards & Winery. While at J. Lohr, she started her own label, Kalawashaq’ Wine Cellars making Cabernet Sauvignon, Merlot, Cabernet Franc, Merlot and Syrah. After nine years at J. Lohr, she spent two years polishing her winemaking skills in Spain. In 2010, the Santa Ynez Band of Chumash Indians bought the Camp 4 Vineyard located on 1,400 acres of ancestral land from Fess Parker, and Tara was hired as winemaker. Parker had planted 256 acres of grapes on the land and named the property Camp 4. The first wines Gomez crafted from this property, Sauvignon Blanc, Grenache Blanc, Grenache, Syrah and Cabernet Sauvignon, were bottled in 2012. 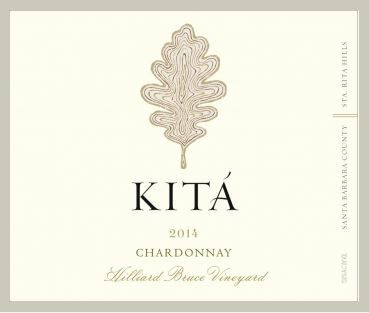 Tribe members chose a name for the winery associated with this vineyard that holds significance to the Chumash: Kita (KEE-ta) means “our valley oak” in Samala language. The Chumash believe the valley oak is a true gift from our creator, providing not only strength but nourishment to people. There are many valley oak trees in the vineyard and the label features tree growth rings. 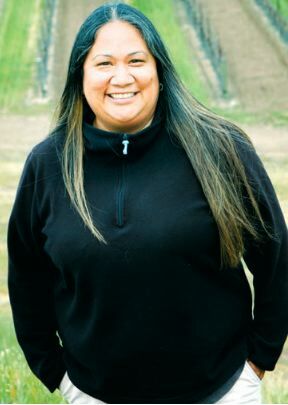 Tara is believed to be the first person of native descent in the United States who operates both a winery and vineyard. The wines are placed in restaurants at Chumash Casino, Hotel Corque and Hadsten House, as well as at other tribal casino restaurants throughout California. The wines are also available on the website at www.kitawines.com.